Update: 12/7/17 – I originally wrote the article below way back in 2012, where does the time go? But I thought I’d revive it here as the question posed, and my answer to it is still relevant judging from this thread recently posted on Mercedes enthusiast website ‘Benzworld.org’ – the best of it’s kind in my opinion, no matter what Mercedes series you’re interested in, it’s a great resource. The question posed by the poster is ‘Why are R129s so cheap to buy?’ – the discussion quickly turns to future value, which, thankfully, most of these true enthusiasts see as a potential ‘pleasant surprise’ more than the major deciding factor in acquiring one of these cars. While the article below focuses on the 2002 Mercedes R129 SL500 Silver Arrow Special Edition specifically, the general principles translate to all R129s, and most other cars too, when it comes down to buying. My thoughts on the subject are best summed up in the very last paragraph of the article below. I got the following email from a Dave Knows Cars reader the other day…. 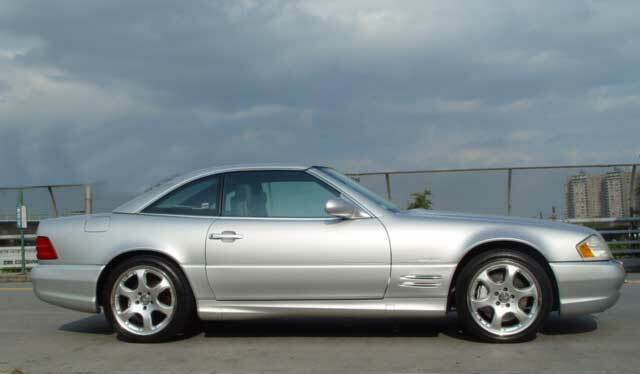 It’s a series of interesting questions about the R129 chassis Mercedes Benz SLs from the 1990s and early 2000’s, with a specific slant on the 2002 Mercedes SL500 Silver Arrow Edition. – is the value at the bottom now, yet to come or are prices/value on the way up? – will this be a “collectable” car? If yes when? – are there areas where I should pay particular attention? I hope you can provide some insight. this is a discretionary buy. Exciting to think about but of course I want to be smart. 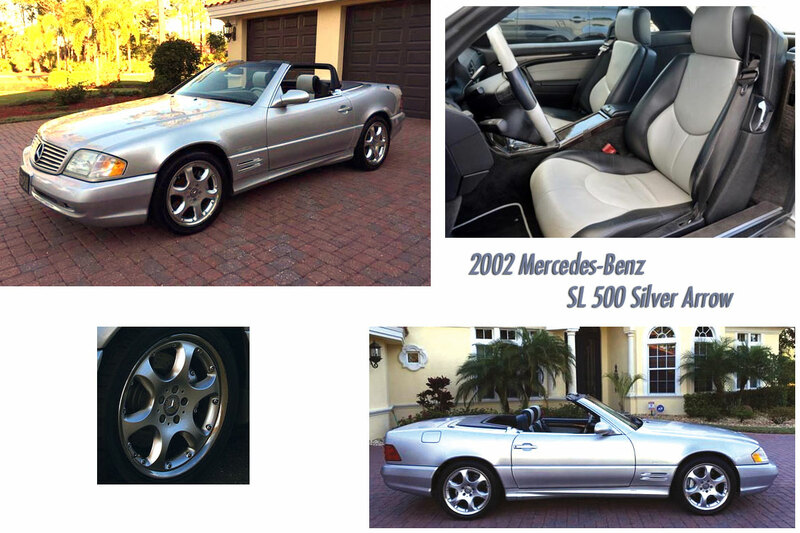 2002 Mercedes SL500 Silver Arrow Edition. The R129 series SLs are generally very good cars, a much more modern car than the R107 SL series they replaced that was in production for almost 30 years. Let’s first look at general idea of the R129 cars as collectibles, now, or in the future, and then address the Silver Arrow special edition cars you’re interested in specifically. I think that the early R129 cars are at the bottom, or very close to the bottom of their depreciation curve. When you see well kept, cars without tons of miles on their odometers from the early ‘90s changing hands at or below $10,000 you have to ask yourself, how much cheaper can they get? Always remember though, that while cheap to acquire at that level, if a car needs a couple of new seals, renewed suspension and its hydraulic top worked on you could sink 1/2 the ‘value’ of the car into it in a single service visit. I always say, “There is nothing more expensive than a cheap Mercedes-Benz”. Even if you get a great one, they can still be expensive cars to maintain and chances are maintenance costs and parts won’t be getting cheaper anytime soon. Early 1991 R129 in Light Ivory. The cars from the late 90s and early 2000s, most definitely still have room to depreciate and are not at the bottom of their curve just yet. As the R129’s replacement, the R230 series cars get cheaper more and more people are opting to go that route. R230s are much more modern than even the R129 cars. They have more creature comforts, and are generally considered easier cars to live with, mainly due to their retractable hard tops, there is no longer a removable hard top to store in the corner of the garage or on a hoist above the car, there are no plastic rear quarter windows in a soft top to crack while folded down over the Winter. On top of it, R230 cars can be purchased with less than 75,000 miles under $25,000 all day long at the moment. As the SLs with their newer body styles get cheaper (also depreciating), the R129s just continue to depreciate. So, the answer to the question… Are any of the R129 cars on their way up in value, will any of this series of SLs be due for appreciation anytime soon? Quite simply, no. (Update 12/7/17: Looking at the market, we’re already seeing owners, collectors and dealers asking premium prices for very low mile examples… it seems as though they’re becoming more than ‘used cars’ – slowly, but surely. Will we see low mile examples eclipsing their original purchase prices (whether adjusted for inflation or not), not anytime soon). There are very few Mercedes-Benz vehicles built after about 1971 that have experienced any sort of appreciation. Just now, the very best of the R107 chassis cars are beginning to creep up in value, or at least bring strong money, but most of the cars in that series bringing any real money are the last of the 560SLs from the late 80s which still sell for a fraction of their original prices… even after adjusting for inflation. Will R129s even be collectible in the future? One might argue that all Mercedes-Benz SLs will be collectible, someday… but I believe it will be several decades before R129 series cars see any type of appreciation, and frankly, I don’t think I’ll see a $100,000 R129 SL500 in my lifetime, unless they dig one up that was owned by a Pope, Elvis or Steve McQueen.. and if they find one of those… there will be a bigger story to tell. They’re too new, they’re styling, at this point… while loved by many, is out of favor and they made several hundred thousand of them over their production run. That is precisely why they will never be true collector cars, ever… although one could hope for mild appreciation… someday. The catch is, that you’ll have to maintain, insure and keep the car for 30 years before you ever see any appreciation, so don’t expect to EVER ‘get your money back’ if you go to sell the car anytime soon. Which brings us to your question of the Silver Arrow Edition cars from 2002 specifically. You’re looking at the most evolved cars of the R129 series, 1400 Silver Arrow Edition cars were built in 2002. What do you get with the Silver Arrow that you don’t get with a regular series car? In my opinion, not a whole lot. Sure, you get a brushed aluminum instrument surround, different wheels, a different shade of silver, two tone interior, typical light modifications to trim and badging, but it’s really the same as all the other SL500s of the day. They were getting ready to bring out the R230 models the next year and needed to try to breathe new life into R129 sales. Have you seen the 1997 Special Edition R129 roadsters they built to commemorate the 40th anniversary of the 300SL Roadster 1957 – 1997? They built just 350 specially equipped SL320s and 500 special SL500s, special colors, trim, etc. They also built a Silver Arrow Edition R230 SL550 in 2009. Such ‘special editions’ aren’t uncommon among auto makers, just look at Chevrolet’s Corvette. Three generations of Mercedes-Benz SLs… R107, R129, R230. A Silver Arrow Edition will always be different, more unique than a run of the mill SL500, but don’t count on much of a premium in value down the line. When these cars do reach the point of anything resembling true collectability or appreciation, condition and solid maintenance history will trump all else. I think your price target of $20,000 for a solid 2002 Silver Arrow is realistic, I wouldn’t want to pay more than that for a very nice one. The problem you may have is that these were expensive cars when they were new, the people who own them now, in many cases aren’t destitute, or in need of money and they think their cars are ‘worth’ a lot more than what you should probably pay and they don’t really need to sell them. Sometimes I shake my head at the insane asking prices I see in the classified section in the back of the Mercedes-Benz Club of America’s national magazine “The Star”. I just don’t think many people are really selling those cars. All over, people paid a lot of money for these cars new and they just can’t believe they are being offered $15,000 for the car they paid $80,000+ for when it was new… even if it only has 50,000 miles on its odometer. In many cases, people think too much of their cars. It was a big purchase, perhaps a lifelong goal accomplished… there are often a lot of emotions around Mercedes-Benz SLs, I suppose it’s been that was since the mid 1950s. What should you watch out for? The R129 series SLs are, in general, very good cars. Because they were expensive when new and most were well cared for there are a lot of good survivors with very low miles. Low mileage isn’t always good… these cars do deteriorate if they aren’t driven and maintained. Seals dry out and crack, plastic pieces get brittle in really hot climates, hoses crack, etc. I would try to find a well maintained car with service records and a clean, known ownership history. Low miles along with good maintenance history is, of course, ideal, but I’d go for an 80,000 mile car that’s been well maintained, and regularly maintained over a 19,000 mile car that’s been stored for most of its life… and I see cars like that. I saw a 2002 SL500 a couple of years ago with just 8,000 miles on the odometer… it needed a lot of work to be brought up to everyday driver status. I would absolutely have a pre purchase inspection done of any car your serious about. You can take it to a Mercedes-Benz dealer and have them do a Pre Purchase Inspection (PPI) for the cost of an hour of labor. Just spend the money and have it done. If the car is out of town, contact the local Mercedes-Benz Club and ask someone in the club for a recommendation as to where you could have the car taken for a PPI. Stay away from anything with rust (obviously). If you’re serious about future collectability, find a car with original paint, which shouldn’t be tough, these are still fairly new cars…. a repaint can only mean troubles and a story… you’ll want a ‘no stories’ car. Just try to find the best car you can afford. There are plenty of good SLs out there to choose from… there are probably even a fair number of Silver Arrows on the national market over a year’s time, it would be a fun project to find one and acquire it. I believe the R129 cars represent the best value in a late model SL at the moment, precisely because they’re so much car for not tons of money, and I love the way they look. There is no sense in getting hung up on collectability if you’re interested in an R129, it will only lead to heartbreak. Buy the best car you can afford after having a PPI done, and buy the car because you’ve always wanted one, because you like it and because you’ll drive it and enjoy it. Don’t worry about ‘getting your money out of it’ as you probably never will. Just have fun with whatever you end up with. Respectfully yours, I have a different view: owning & driving a 2007 Porsche 997 Carrera 4S Convertible AND a 2004 SL 500 R230 , I think both will be future classics in their own right. Engines and transmissions unbreakable, and the R230 has been built for 11 years (like the Porsche 996 / 997 series which are technically almost identical), making it the longest built MB (or 911) in modern history. Actually (2015), I see R230 SL 500’s bottoming out at approx. 25 K€ and I don’t think they will get very much cheaper from now on. With the 997’s, I see high demand and low supply at the moment, and R230 are looking the same – not exceedingly expensive right now, (1/2 of the same year Porsches 996/997) but first try to find a decent one with proven ownership and good service history. I agree that low mileage is not a good criterion for choice, but do pay attention to the service history. The R230 does have soft spots (exhaust, fuel tank, ABC body control) as have the Porsches (oil leakage due to simmerrings failure, faltering batteries) – I have gone through all of that. Summing up, they are maybe the best examples of German sports cars within the last 15 years and that will make them classics of the future. 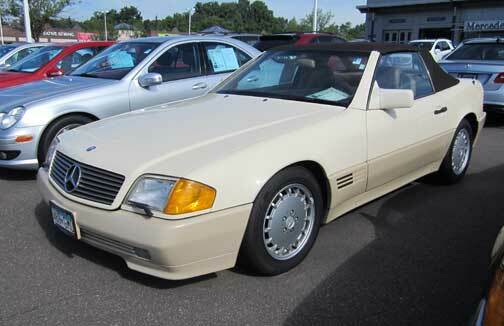 I need 2 wheels for a 2002 S500 silver arrow. Where can I get them?